Chinese President Xi Jinping speaks during his welcoming banquet at the start of his visit to the United States, in Seattle, Washington on September 22, 2015. President Xi focused on business, trade, and economics. He will visit the White House later this week. There were a number of substantial themes in Xi’s speech—the usual promises to stay the course on market reforms, the insistence on China’s status as a developing country, the plea for mutual “deep” cultural understanding (something that I sympathize with), the pledge to seek peaceful growth and not hegemony, the promise to welcome NGO and NPO operations in China, and the emphasis on economic integration with Central Asia and the Asian Pacific. Tonight, however, he gave a startlingly clear and concise description of the “dream” that focused almost entirely on the economy. He framed it in terms of China’s success in pulling much of its population out of poverty, in terms of its rapid growth over the past two decades, and its continued commitment to economic reform. He went so far as to acknowledge that the “fundamental task” of any Chinese state—its primary claim to legitimacy—is to manage and develop the economy. It is dangerous, of course, to read too much into one speech, but these claims do seem to diverge somewhat from the Party’s tendency in recent years to aggressively seek non-economic sources of legitimacy. Many commentators believed that, with the ongoing slowdown and restructuring, the Party leadership would want to (continue to) seek new means of garnering public support, including cracking down on corruption, trumpeting the “rule of law,” adopting a more aggressive diplomatic posture, embracing “traditional culture,” and rejuvenating “Chinese socialism” as a viable sociopolitical ideology. Tonight’s speech, however, seemed to echo the ideological stance of the Jiang and Hu eras in emphasizing economic development above all else. Does this mean that the Party leadership is feeling more optimistic about its economic prospects than outside observers seem to recognize, or is it simply acknowledging the unavoidable truth that its political fate and legacy will ultimately be determined by its economic performance? Finally, as a Greek history buff, I admit to feeling a fleeting sense of amusement and joy over Xi’s mention of Thucydides. The last five or so minutes of President Xi Jinping’s speech featured an announcement of more student exchange, reminiscences about admiring U.S. political figures, and reading everything from The Federalist Papers to The Old Man and the Sea. It was really quite charming. On the substance, though, the speech will be disappointing to many observers looking for Xi to indicate flexibility rather than stubbornness at a time when China’s domestic confidence might be lower. On the issue of cybersecurity, low hopes will be lower after this speech. When Xi says he is ready to set up a high-level mechanism with the United States on "fighting cyber crimes," U.S. listeners will note what happened to the last Cyber Working Group, suspended by the Chinese side after U.S. indictments of alleged PLA hackers. When he says “the Chinese government will not in any form engage in commercial theft” or encourage others to do so, and that such crimes “must be punished in accordance with law or relevant international treaties,” those hoping for a meeting of minds on computer-assisted commercial theft will see the renewed denials here and in Xi’s written Wall Street Journal interview as reason to expect minimal or no progress on that issue. There is still a chance, if a slim one, for progress on commercial theft: The governments could set up a mechanism to trade information about computer attacks emanating from each other’s countries, backed by a commitment to investigate and charge hackers. That’s the kind of announcement more suited to a joint press conference or statement, rather than a solo speech when Pope Francis is dominating the U.S. news. But, while his speech was seemingly direct, reasonable and conciliatory, it does not square very well with Chinese actions over the past year. So whether this represents something of a new start, or was just rhetorical gloss, will only become clear over the next few months as we see whether or not his words become practice. Overall, I found President Xi's speech very predictable and balanced, but not at all surprising. The only new element in it was his admission of a personal passion for reading American literature and history, and his particular interest in Ernest Hemingway and that he drank a mojito in his honor at a bar in Cuba. That was a nice personal anecdote that humanized him for Americans. But, otherwise, I found the content of the speech very predictable. We've heard and read it all before. Nothing much new substantively (except the new student exchange and the year of tourism--hardly blockbuster initiatives). I was surprised, and relieved, that President Xi only used his favorite slogan "building a new type of major country relations" (新型大国关系) once--but this was offset by numerous references to "win-win cooperation." He would have done better to leave all slogans out of the speech. I also did not find the references to activities by foreign NGOs in China very encouraging at all--all codewords for continued constraints and serious difficulties. Finally, it remains incredible for any Chinese government official—much less the President and nation's leader—to make the following statement concerning cyber intrusions: "The Chinese government will not, in whatever form, engage in commercial thefts or encourage or support such attempts by anyone." The only credible thing about this sentence may be that it was said in the future tense--let's hope that the Chinese government ceases such cyber activities in the future, as that has definitely not been the case in the past. Such statements about such critical and sensitive issues do not add credibility and build strategic trust. Otherwise, I thought that President Xi's speech was very comprehensive and welcome. I also watched it live and found him to be very relaxed and confident in his demeanor. Xi’s Seattle speech closely followed the text of his Wall Street Journal interview of September 22. Both were designed to reassure American businesses, the public, and the government, on issues that have been turning American opinion negative on China. However, there were a few important things in the interview that didn’t make it into the speech. Two in particular caught my attention. These passages caught my eye because they reminded me of the optimism about political reform that attended Xi’s rise to power. This optimism was felt not only in the outside world, but among pro-reform people in China as well, including those within the Party. Many thought that because Xi’s father and Xi himself had suffered under Mao’s dictatorship, and because Xi had a great deal of contact with the outside world via Taiwan businesspeople when he served in Fujian, and because of the modest, democratic style he displayed during his rise to power, he would be a political reformer. The words in his interview reminded me of this hope. The first passage can be read as saying that Xi respects the core logic of democracy, that abuse of power can be prevented only by countervailing centers of power, such as independent legislatures, courts, lawyers, media, and civil society organizations. The second passage can be read as acknowledging that there are some universal values that all civilizations should respect despite their differences. Of course, each passage can also be read in the opposite way, if we silently add the modifier so often used in Chinese propaganda, “Chinese-style” (Zhongguo tese), as in “Chinese-style socialism.” Chinese-style systemic checks on power may simply be intensified repression; Chinese-style respect for the diversity of civilizations may mean denial of universal values. Given the real difficulties in the U.S.-China relationship at present, President Xi Jinping’s opening address in the U.S. was remarkably focused, conciliatory, and positive. Focused, in that unlike previous Chinese leaders, Xi chose to explicitly address the real problems in the relationship, rather than ignore them through the usual sea of diplomatic platitudes. Conciliatory, in that he offered for the first time definitive language on such issues as the recent devaluation of the RMB and cybersecurity. Positive, in that he emphasized the “glass half full rather than glass half empty” in the overall relationship, and also reflecting some familiarity with some of the major well springs of American tradition and culture, from Martin Luther King to Hemingway and mojitos. A good start to a difficult visit, but much lies ahead in the next several days. Watching Xi Jinping’s speech for me brought to mind George Orwell’s 1984, a world in which language is turned upside down and words mean the opposite of what they say. We would do well to ponder the following words Xi Jinping spoke in Seattle below in light of Orwell’s insights about the political uses of language and the way they mask the truth. I was struck by how closely Xi Jinping’s Seattle speech hewed to the text of his Wall Street Journal “interview,” which was actually written answers to questions. Xi has a clear message that he wants to convey to the American people. That message includes a vigorous defense of China’s peaceful rise, its commitment to economic reform and rule of law, its support for the foundations of the prevailing international system, its openness to foreign investment and trade, and its promise to prosecute any Chinese entity engaged in cyber theft of commercial secrets. It shouldn’t be surprising that Xi attempted to mollify concerns in the U.S. business community, the White House, the Congress, and the American public. As the Chinese saying goes, the U.S. will be watching to see if China’s deeds match its words going forward. Xi’s speech highlights the persisting gap between China’s desire to accentuate the positive elements of the relationship and the U.S. push to address problems in the bilateral relationship and expand concrete cooperation on regional and global issues. In the preparation for the visit, the Chinese evidently spent quite a bit of time coming up with clever references to American culture that Xi deployed in his speech as well as ensuring that Xi received the highest possible protocol arrangements. The goal of strengthening the bilateral relationship would be better served if real progress can be made on cyber-enabled theft of intellectual property, the South China Sea, Chinese domestic laws that are harmful to civil society in China, foreign businesses, and people-to-people exchanges, and working together to advance peace and security around the world. Apparently, Xi is steeped in the literature, philosophy and history of other countries. During one interview with a Russian media outlet in Sochi in February 2014, Xi mentioned 12 Russian novelists he had read. A month later in Paris, in a speech commemorating the 50th anniversary of diplomatic relations with France, Xi mentioned 20 French writers he had read. 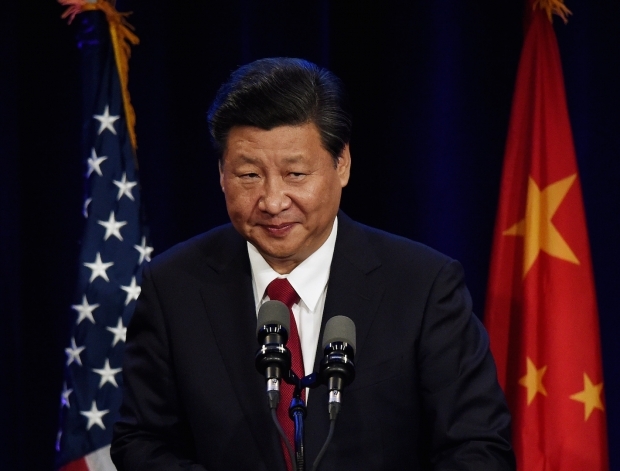 This time, in Seattle, Xi appeared to be more modest, only mentioning six authors’ names. Reading through the conversation transcript, I got the feeling that Wang was basically saying to the two scholars: I know your Western ideas and theories very well and I’m telling you—they won’t work in China. In 2013, Document No.9, a communique circulated within the Party that was a clear reflection of Xi’s thinking, made “Western constitutional democracy” the number one “peril” for the Communist Party. I am wondering whether or not on some level Xi is sending a message similar to Wang’s: The Communist Party’s rejection of Western ideas is based on my deep understanding of it. Anyone who remembers President Jiang Zemin’s 1997 state visit to the U.S. can’t resist comparing the two. They both moved to impress their American audiences with some personal touches. Jiang had a comfortable command of English and could recite the Gettysburg Address. He also was quite committed to proving his musical talents—playing Hawaiian guitar, Hula dancing, and singing publically. He struck his hosts as cosmopolitan at a time when many Americans questioned the Chinese willingness to join the established international order. Xi, on the other hand, has never demonstrated his foreign language skills or music talent. And besides being flattered by the Chinese media as being a charismatic leader, he hardly ever laughs in the limelight. No wonder he is often associated with being “mysterious and nationalistic,” not very helpful character traits at a time when strategic mutual trust is in deficit between the two countries. To balance this narrative, during his Seattle speech Xi gave a book list as well as a list of American writers with whom he was allegedly familiar: The Federalist Paper and Common Sense, Henry David Thoreau, Walt Whitman, Mark Twain, and Jack London. Then he washed them down with a mention of Hemingway and a mojito. Alcohol and books recall another powerful, determined leader credited with time-honored wisdom: Winston Churchill. Xi’s message is: he understands America and even likes it. Whether Xi really read all these books in his “younger years”—which overlapped with the Cultural Revolution, when foreign literature was largely banned except among the privileged—and what he really makes of these writers is less of a concern. The real question is, can he manage to persuade his American hosts that the “Chinese Dream”, which has a big dose of historic victimhood in it, can actually escape the predictions of Thucydides—yet another western writer with whom Xi seems familiar? Xi Jinping’s choice of audience and venues—no doubt fastidiously vetted—convey much more information than his Seattle speech, which unsurprisingly was devoid of surprises. Chinese commentators often hail Sino-U.S. economic ties as the “bedrock” of the broader relationship. The bedrock, however, has begun to fissure. That the Chinese president is devoting so much of his visit to outreach to the business community likely reflects that Beijing is feeling the tremors. The opening salvo of Xi’s commercial charm offensive was a Q & A with The Wall Street Journal, which has been blocked in China but is a prime channel to America’s business elite. His first stop was in Seattle, in a state that Xi pointed out “leads U.S. states in exports to China,” he devoted the front of his speech to assuring the audience of the strength of China’s economy, the soundness of its currency policy, its commitment to economic reform, and the promise to keep the door open to foreign investors. The rest of his itinerary was packed with meet-and-greet with a who’s who of American chief executives. American businesses, lured by China’s cheap labor, huge market and spectacular growth spurt, have arguably been Beijing’s most influential advocates in Washington, offsetting concerns about domestic and foreign policies. But American executives are becoming increasingly unsettled as Beijing’s treatment of foreign companies has turned more nationalist and protectionist despite its language of commitment to openness. Beijing may hope that Xi can single-handedly revive American businesses’ enthusiasm in China; dull Washington’s criticism on thornier issues such as human rights and the South China Sea; and re-anchor the bilateral ties. Retaining business confidence, however, requires Xi to demonstrate his willingness to loosen control and share power with market forces. His speeches say one thing, but his policies so far imply the opposite.